New W PhoneWatch Touchscreen interface Cell Phone Here’s another entry-level watch phone from a company named Kempler & Strauss, the W PhoneWatch. This wearable phone has a touchscreen interface, a camera with video recording, a 4GB of storage space, a microSD card slot, music and video players, Bluetooth and supports quad-band GSM connectivity. 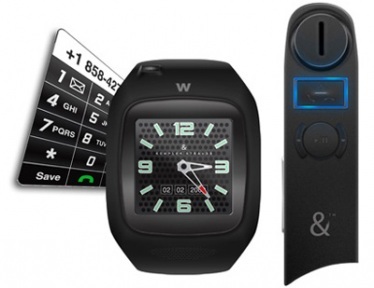 The device also comes bundled with a Communicator allowing user to control the W PhoneWatch from up to 16 feet away. 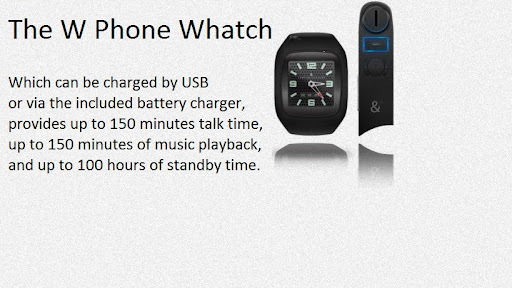 The W PhoneWatch retails for $199 unlocked.